In the decades ahead population increases are expected to place increased stress on water resources. A substantial portion of the world's fresh water is derived from groundwater. Optimal Hydraulic Control of Groundwater Systems will provide a practical guide for implementing mathematical and computer-based tools to aid in the management of groundwater. 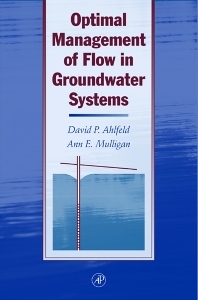 Drawn from the operations research literature, this book combines methods for optimization techniques to numerical models for the simulation of groundwater flow. The resulting management model provides a valuable tool for optimizing performance of groundwater systems. This volume will fill a significant gap in the technical literature on groundwater modeling and management. Technical professionals, students and researchers involved in groundwater modeling and water resource analysis. Specific professionals include civil engineers, environmental engineers, hydrologists and hydrogeologists.